Yesterday, in particular, was a very important birthday for me. I turned 35 and can finally run for president without a fake ID. Many of my Facebook friends couldn’t have been more thrilled. Many of them took the time to extend their birthday greetings. “Happy birthday.” Some of them wrote. Others got more personal, “Happy Birthday Tim.” Some even opted to use the exclamation point and a select few even used multiple exclamation points. Yet, while sifting through these posts, I noticed that you chose not to extend birthday greetings to me. Oh, I’m not mad. I mean, okay, yes I was a little agitated at first. I suppose casual observers might even describe my mood as furious. My wife will probably point out that I broke my laptop over my knee, but I’m over it. I mean, alright, I didn’t ‘instantly’ get over it. I did go to the library where I broke a few other computers over my knee as well, but I got past that. Okay, no, I didn’t get past that until I injured my knee and my doctor told me that I couldn’t break anything over it for a week, but I’m fine now. Really. Now I just want to know why. I mean, you and I share a bond that I only share with a few hundred other people. We’re Facebook friends. Why didn’t you care if I had a happy birthday or not? Is it because I respond to most of your Facebook posts with STFU? You do post a lot. Is it because I put that I “disliked” that you went on a 12 mile run last night? I just think you can push yourself harder. Is it because I tagged you in that bank robbery surveillance photo and the police came to your house? How was I to know that wasn’t you in the picture? The guy was wearing a mask. Is it because I kept asking you if you were sure the baby in those pictures was really yours? She was extraordinarily cute and I don’t want to see you get hurt. Is it because I added you to the Justin Bieber fan page? He needs support! Is it because I showed up to your house with a bottle of wine when your status update read “remember Sept. 11th.” It looked like you were inviting me to a party. Is it because I posted that editorial blasting several of the recent decisions you’ve made in your life? Maybe it would make you feel better to know that it was rejected by the New York Times. Is it because you got that email from me offering you a great deal on Viagra and you thought I had fallen victim to a phishing scheme, but it turned out that I really typed up the email and sent it to you. I just wanted to make you aware of a great bargain. Is it because after you unfriended me, I grew a moustache and tried to refriend you, hoping you wouldn’t recognize me? There is a comment section below. Please leave your explanation. Pardon my ignorance. What is the full meaning of STFU? ok. F is for figure. I got it thanks. You’re going to thank me. Just imagining their shock alone is joy enough. I have evaded your person for 42 years and a few odd months…so during your birthday I was not known to you – and I’m still not – but Happy Birthday for next year. What’s the ST in f*ck you stand for? HAPPY BIRTHDAY, TIM! HAPPY BIRTHDAY, TIM! HAPPY BIRTHDAY, TIM! HAPPY BIRTHDAY, TIM! HAPPY BIRTHDAY, TIM! HAPPY BIRTHDAY, TIM! HAPPY BIRTHDAY, TIM! HAPPY BIRTHDAY, TIM! HAPPY BIRTHDAY, TIM! 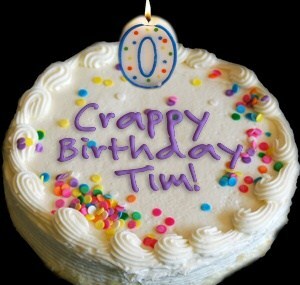 HAPPY BIRTHDAY, TIM! HAPPY BIRTHDAY, TIM! HAPPY BIRTHDAY, TIM! HAPPY BIRTHDAY, TIM! HAPPY BIRTHDAY, TIM! HAPPY BIRTHDAY, TIM! HAPPY BIRTHDAY, TIM! HAPPY BIRTHDAY, TIM! HAPPY BIRTHDAY, TIM! HAPPY BIRTHDAY, TIM! HAPPY BIRTHDAY, TIM! HAPPY BIRTHDAY, TIM! HAPPY BIRTHDAY, TIM! HAPPY BIRTHDAY, TIM! HAPPY BIRTHDAY, TIM! HAPPY BIRTHDAY, TIM! HAPPY BIRTHDAY, TIM! HAPPY BIRTHDAY, TIM! HAPPY BIRTHDAY, TIM! HAPPY BIRTHDAY, TIM! HAPPY BIRTHDAY, TIM! HAPPY BIRTHDAY, TIM! HAPPY BIRTHDAY, TIM! HAPPY BIRTHDAY, TIM! HAPPY BIRTHDAY, TIM! HAPPY BIRTHDAY, TIM! HAPPY BIRTHDAY, TIM! HAPPY BIRTHDAY, TIM! HAPPY BIRTHDAY, TIM! HAPPY BIRTHDAY, TIM! HAPPY BIRTHDAY, TIM! HAPPY BIRTHDAY, TIM! HAPPY BIRTHDAY, TIM! HAPPY BIRTHDAY, TIM! HAPPY BIRTHDAY, TIM! HAPPY BIRTHDAY, TIM! HAPPY BIRTHDAY, TIM! HAPPY BIRTHDAY, TIM! HAPPY BIRTHDAY, TIM! HAPPY BIRTHDAY, TIM! HAPPY BIRTHDAY, TIM! HAPPY BIRTHDAY, TIM! HAPPY BIRTHDAY, TIM! HAPPY BIRTHDAY, TIM! HAPPY BIRTHDAY, TIM! HAPPY BIRTHDAY, TIM! HAPPY BIRTHDAY, TIM! HAPPY BIRTHDAY, TIM! HAPPY BIRTHDAY, TIM! HAPPY BIRTHDAY, TIM! HAPPY BIRTHDAY, TIM! HAPPY BIRTHDAY, TIM! HAPPY BIRTHDAY, TIM! HAPPY BIRTHDAY, TIM! HAPPY BIRTHDAY, TIM! HAPPY BIRTHDAY, TIM! HAPPY BIRTHDAY, TIM! Thank you. Birthday Greetings accepted. Although, it would have been nice if maybe each wish was in a different font for each year? Can I just say, “Font You!” – and I am too cheap to have multifonts for my free wordpress subscription. And where are MY birthday wishes? My birthday happens on National “Something on a Stick” day…I’ll send you Russian birthday greetings if you can find the day… Hint: it’s in 1 of the 12 months – and it has a at least one consonant and a vowel – and not even one of the wishy-washy vowels (yes, Y, you know I’m lookin’ at you). Then I shall wait until March 28th to wish you a happy birthday. Same thing here Tim… I don’t know whats so happy about getting older… At least in older days we’d get a crap loads of presents.. but nowadays all we get is a messed up Facebook wall with the notifications from 300 people whom we don’t even know..
oh man if someone did that to me…. This is pretty funny and you put my thoughts almost exactly, haha.